Say Nothing, Act Casual: Melbourne Cup Day and the beginning of the end of the year. Melbourne Cup Day and the beginning of the end of the year. 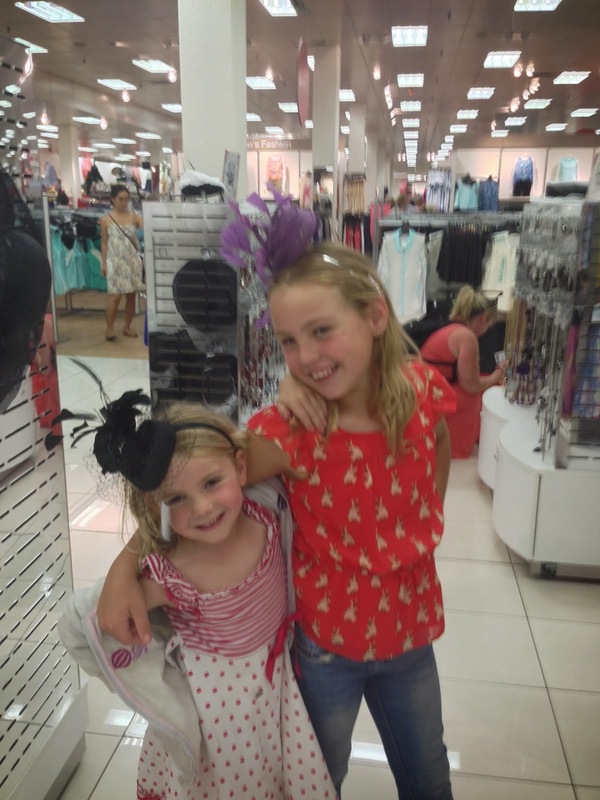 Since having kids, I've spent most Melbourne Cup days going about my usual business. As we all know only too well, the unfortunate timing of the race coincides precisely with the end of school. I've listened to the race alone in the car many times. Poor me. In QLD where I went to school the lack of daylight saving meant the race was at 2:05 not 3:05. The teachers would wheel in a TV on a stand and we'd watch it. Since having kids I've been to the occasional lunch at someone's house. Had a glass of bubbles and some canapés while the preschoolers played around us. I even hosted a lunch a couple of years ago. And many times prior to kids I've been at work. Every year no matter where you work it's the same, the sweep, the 10 minutes off for the race, the platters of questionable sandwiches, dips and chips and a plastic cup of warm wine. I'm not much of a racegoer. But I do like wearing a nice frock and a pair of heels. When I was growing up my Dad used to put us in his work sweep. Every now and then we'd win and he'd bring home an envelope with cash. It is very exciting when you are 10 and win $30. Not much of a racing man himself, he still liked to study the form and tip a horse for the Cup. Every year I would ask him and always bet on his chosen nag. Never, ever have I won a cent as a result. I don't care. I wish I could still ask him. This is my first MC day with all three kids at school. This heady freedom is making me socially excited. A bunch of us are heading to a nearby restaurant for lunch and the race and post race celebrations of our luck, or lack of it. The kids are sorted for the afternoon, I have frock, fascinator, shoes and a good attitude all ready to go. The girls helped me choose my headgear. They threw themselves wholeheartedly into the task. 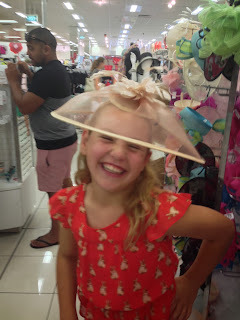 Melbourne Cup Day seems to signify the beginning of the Silly Season. From here on in its a series of catch ups, lunches, dinners, birthdays (mine!) and end of year celebrations. Not to mention Christmas shopping. Time seems to go twice as fast as normal. OK maybe I'm being a little melodramatic but you know what I mean?